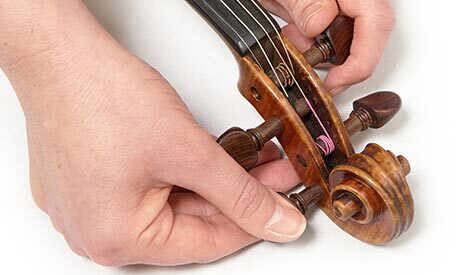 Turn the pegs towards you to take tension out of the strings. 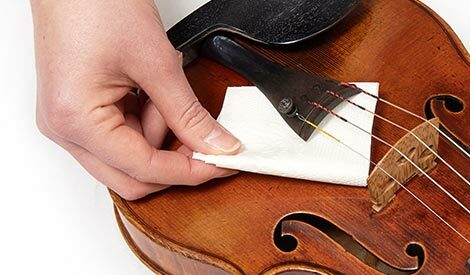 Place some tissue underneath the tail piece to protect the top of the violin before continuing. 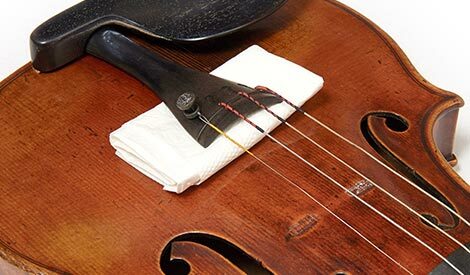 Take the bridge down, wrap in the tissue and place back underneath the tailpiece. 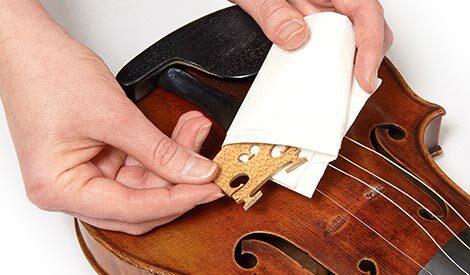 Tighten the strings by turning the pegs away from you only as far as needed to hold the tissue in place under the tailpiece. 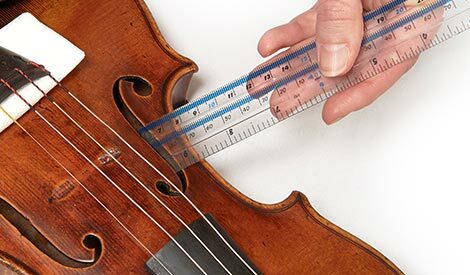 If you are comfortable doing so use a ruler to gently knock down the internal sound-post (small wooden dowel which sits between the top and bottom of the instrument). This takes tension out of the body of the instrument. 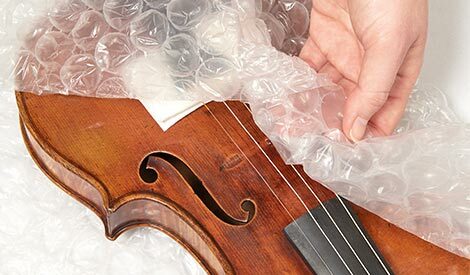 Carefully wrap in tissue paper, and then bubble wrap before placing in a box of packing foam pieces, sealing and labelling extensively as ‘fragile’ before sending to the address below.